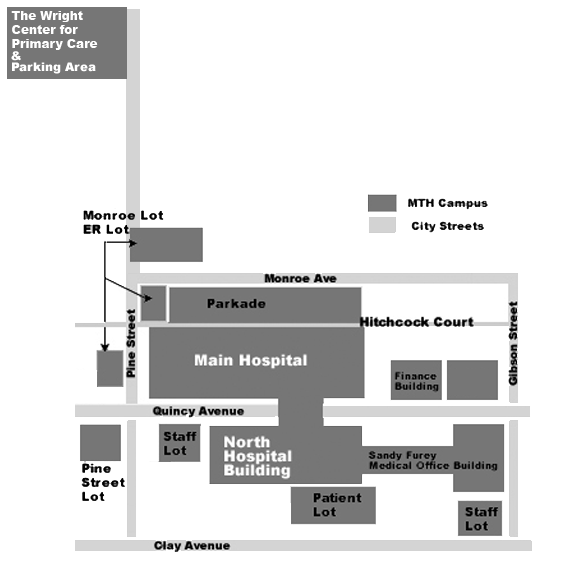 There are several areas available for parking while you are at Moses Taylor Hospital. Valet parking is available directly in front of the building, Monday - Friday, 7 a.m. - 3 p.m.; patient assistance is available. Valet parking is also available adjacent to the Parking Garage on Monroe Avenue, one block behind the main hospital, Monday - Friday, 8 a.m. - 5 p.m.
You may also park in the Parking Garage and enter the hospital by taking an elevator to the first or second floor. The first floor is for patient registration, information and the Emergency Department. The second floor is for patient rooms, the 2 West Conference Center and Administration. Emergency Department parking is available on the corner of Quincy Ave. and Pine St., 3 p.m. - 6 a.m. See Emergency Department personnel for a parking token. 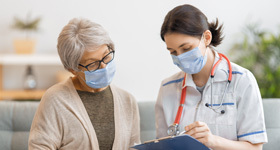 If you have an appointment in the Medical Office Building, Wound Care Center or Sleep Lab, you may park directly behind the Medical Office Building.